Father And Son Milwaukee Brewers Connection – Eric Young And Eric Young Jr.
On January 5, 2016, Eric Young Jr. quietly signed a contract with the Milwaukee Brewers with an invitation to spring training in the big-league camp. I say quietly because most reporters gave the signing an obligatory two or three paragraph article after it was first mentioned December 31, and finalized a few days later. Of course there is more to this signing than meets the eye since his father once played for the Brewers. So today on the blog I’d like to provide a bit more depth and backstory than has been reported so far. 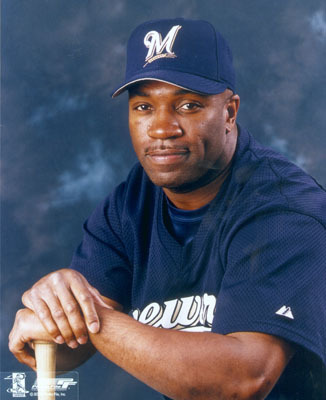 To tell Junior’s story, first let’s go back and take a look at his father’s story and stint with the Brewers. Eric Young, or ‘EY’ as he was nicknamed and will be referred to going forward, had a pretty good career in the big leagues and played for 15 seasons all told. He was born in Brunswick, New Jersey, and stuck around to play both baseball and football at Rutgers. EY decided to pursue a career in baseball and was drafted in the 43rd round of the 1989 draft by the Los Angeles Dodgers. Yup, you read that right – the 43rd round.